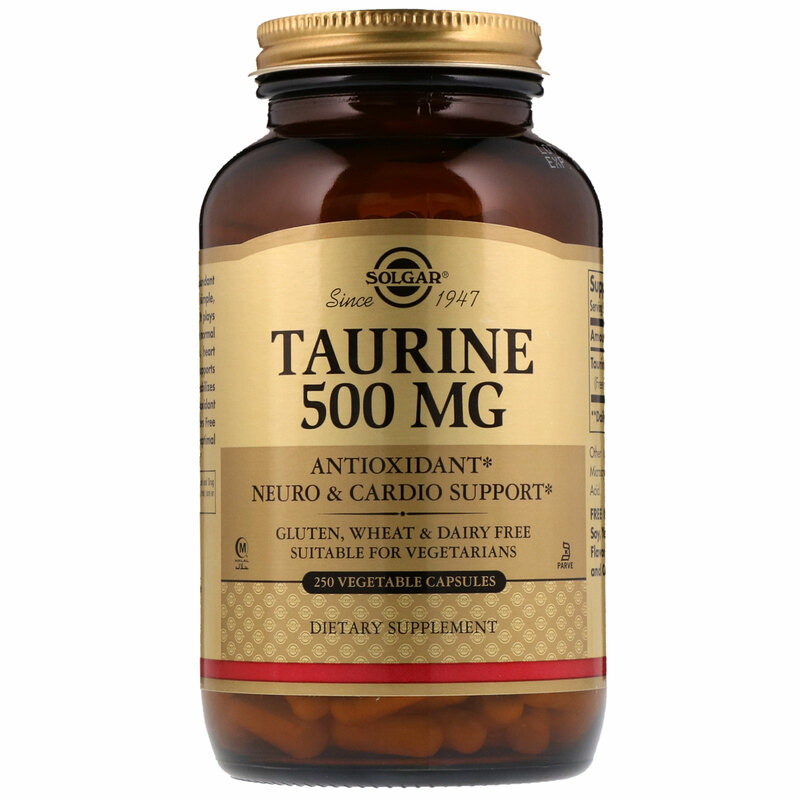 Taurine, one of the most abundant amino acids in the body, is a simple, sulfur-containing compound. It plays a variety of roles in helping the normal function of the brain, eyes, heart and vascular system. 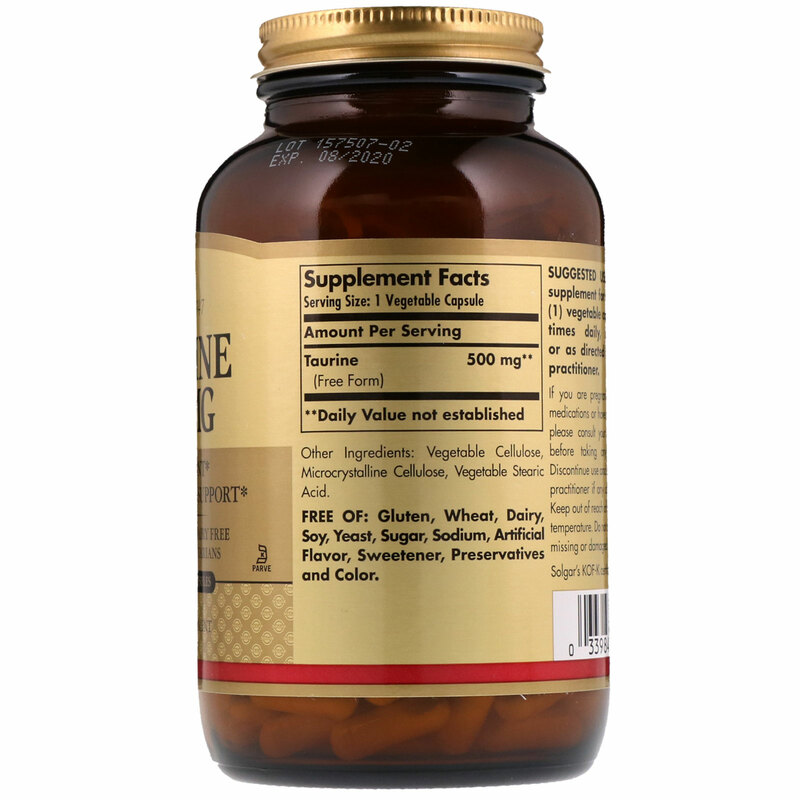 It supports heart muscle contractility, stabilizes eye membranes, and has antioxidant activity. This formulation offers Free Form Taurine to promote optimal absorption and assimilation. As a dietary supplement for adults, take one (1) vegetable capsule up to four times daily, between meals or as directed by a healthcare practitioner. Vegetable cellulose, microcrystalline cellulose, vegetable stearic acid.